The Advisory Council for Bosnia and Herzegovina (ACBH), a non-profit organization that represents the Bosnian American voice in Washington, D.C. and advocates for a united, multi-ethnic, and democratic Bosnia and Herzegovina, mourns the passing of former leader of the United Kingdom Liberal Democrats and High Representative of Bosnia and Herzegovina, Lord Paddy Ashdown. He was 77 years old. "Lord Ashdown will be remembered for many things, but for us, he will forever remain a loyal and longstanding friend of Bosnia and Herzegovina and the Bosnian people. Early on during the 1992-1995 war in Bosnia and Herzegovina, he called for air strikes against the Bosnian Serbs, and while serving as the High Representative of Bosnia from 2002 until 2006, he used Bonn powers in order to adopt binding decisions and remove public officials who violated the Dayton Peace Accords. In short, he was a reformer with a steady hand who believed in justice and progress. We remain forever grateful to him for his exemplary service and friendship," stated ACBH President Ajla Delkic. 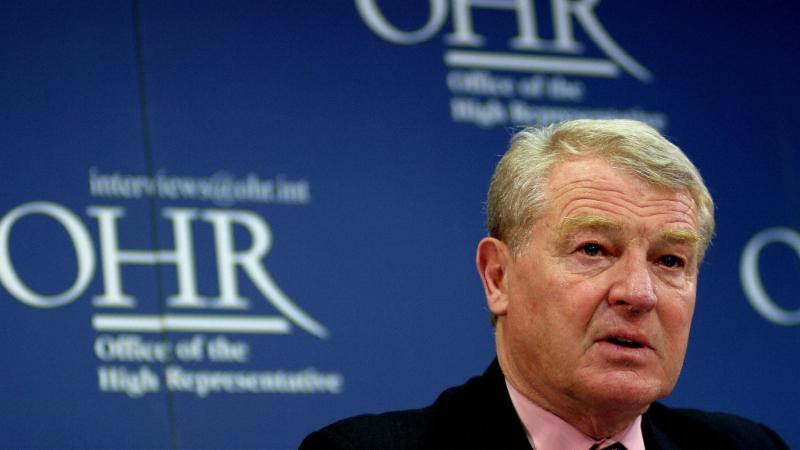 Lord Ashdown remained loyal to Bosnia until the end, stating that the proposed Kosovo-Serbia border changes would only incite further ethnic tensions, and only benefit Russian President Vladimir Putin and the Bosnian Serbs. In the August 2018 letter that was sent to EU High Representative of the European Union for Foreign Affairs and Security PolicyFederica Mogherini, Lord Ashdown, among others, stated that "moving borders like this will not solve divisions, it will deepen them...and be misused by nationalist politicians to further challenge borders and destabilize other countries in the region." All of us at ACBH extend our heartfelt condolences to the Ashdown family.